Twenty star instrumentalists from the Handel and Haydn Society assembled in Calderwood Hall at the Isabella Stewart Gardner Museum on Sunday afternoon, December 10th to give the six Brandenburg Concertos in all their multi-faceted glory. Playing without a conductor and led jointly by Aislinn Nosky, violin, and Ian Watson, harpsichord, their virtuosity represented not only a pinnacle of modern playing technique on period instruments, but the summit of Bach’s highly personal take on the Italian concerto style. It was during his trip to Berlin in March 1719 to purchase a new harpsichord for his patron, Prince Leopold of Anhalt-Cöthen that Bach probably met the margrave Christian Ludwig of Brandenburg, who lived in Berlin and maintained his own small musical establishment there. 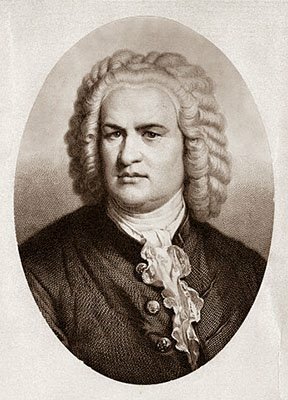 Two years later, Bach assembled Six Concerts avec plusieurs Instruments in a presentation copy, prepared for the margrave and sent to him in March 1721. Most and perhaps all six concertos, however, may actually date from Bach’s years at the court of Weimar, where he served from 1708 to 1717. An early version of the Concerto No. 1, the Sinfonia in F Major, BWV 1046a, for example, may have been performed as an instrumental introduction to the Hunt Cantata, BWV 208, at Weimar in 1713 or 1716. The unique scoring calls for solo groups of two horns, three oboes and bassoon, and a single violino piccolo (a smaller, lighter violin tuned a minor third higher than the standard violin) against a ripieno (tutti) group consisting of violins I and II, viola, cello, and basso continuo. In the first movement, the florid horn parts, stunningly played by Elisabeth Axtell and Robert Marlatt on notoriously treacherous natural ((valveless) horns in F, rivalled the oboes in sparkling passage work in the upper register. The horns dropped out in the second movement, giving way to an expanded trio texture featuring two high instruments accompanied by string ensemble and continuo. A haunting dialogue between the first oboe (Debra Nagy) and the violino piccolo (Susanna Ogata) in ornate figuration was occasionally joined by the bassoon (Marilyn Boenau). Full-blown concerto texture returned in the third movement, Allegro. Here Ogata’s sweet-toned violino piccolo engaged in extended solo passages replete with double and triple stops, as well as in dialogue with the first horn, first oboe, and first violin, as if to show off the qualities of unusual sonorous combinations. All joined in the Menuet that followed, which was heard four times in alternation with two Trios (one for two oboes and bassoon, the other for the two horns with oboes) and a Polonaise for tutti strings. A harbinger of the series of concertos for one, two, three, and four harpsichords, strings, and continuo from the Leipzig years, the extraordinary cembalo concertato part Bach wrote for Concerto No. 5 in D Major casts the harpsichordist as both ripienist, who must realize an accompaniment from figured bass in tutti sections, and concertist, who joins the flute and principal violin in the concertino solo group. Harpsichordist Ian Watson delivered his highly virtuosic yet melodically and contrapuntally rich solo with exemplary panache, reaching a high point in the long, suspenseful, written-out cadenza that concludes the first movement. Christopher Krueger, on a beautifully resonant Baroque (wooden) flute, and Aislinn Nosky, violin, were perfectly attuned partners. Scored for the soloists alone, the second movement opened as a lyrical trio sonata with the violin and flute in imitation over keyboard accompaniment, until the harpsichord took on its solo role, adding two more melodic lines to the imitative texture. The third movement was a rollicking gigue, opening in four-part imitation for the solo instruments before the ripieno strings joined them, all in a breakneck tempo that never flagged. Scored for strings alone in groups of three — three violins (Aislinn Nosky, Susanna Ogata, Adriane Post), three violas (Karina Schmitz, Jenny Stirling, Anne Black), three cellos (Guy Fishman, Sarah Freiberg, Colleen McGary-Smith) — and continuo (Erik Higgins, bass, with Ian Watson), Concerto No. 3 in G Major is more about unity of timbre than contrast. At the outset, a three-note motivic kernel served as a building block within a sweeping thematic complex that was later broken into its component parts. The nine-voice ensemble divided into three separate choirs, with prominent solo passages appearing primarily in the three violins. Responding to the invitation of a fermata over bare-bones chords, Nosky supplied her own wide-ranging cadenza leading to the final Allegro, a fast-paced dance for violins and violas, with the cellos joining the continuo group. Brandenburg No. 2 in F Major featured strong timbral contrast among the four soloists: trumpet (John Thiessen), recorder (Christopher Krueger), oboe (Debra Nagy), and violin (Aislinn Nosky), as well as with the four-part ripieno string group. Pairing the relatively penetrating trumpet and oboe with the softer recorder and violin was a challenge that these players met with utmost sensitivity throughout the first movement, as solo sections presented each instrument first on its own, then in various duet and trio combinations. The brief Andante in D minor omitted the trumpet; recorder, oboe, and violin joined in imitative interplay over a “walking bass” accompaniment in the continuo. A subtler timbral contrast was presented in Concerto No. 6 in B-flat Major. With no violins included, the ensemble contrasted a trio consisting of two “modern” violas and cello with members of the older viola da gamba family ((two tenor viols and bass viol or violone). Most of the thematic activity took place in the solo violas, and in the second movement, Adagio, the viole da gamba dropped out altogether, leaving the violas to shine in an exquisite imitative duet. The final Allegro, a lively movement in a syncopated version of gigue rhythm, involved the two violas and cello in a spirited and virtuosic exchange. Bach devised yet another unusual disposition of solo and tutti forces for Concerto No. 4 in G Major, the last on the program: a pair of recorders (Debra Nagy and Christopher Krueger) along with the principal violinist (Aislinn Nosky) against a four-part string ensemble. In the first movement, a gentle Allegro in 3/8, the recorders, sounding sweetly in thirds and sixths, evoked a typical pastorale. It was left to the violin soloist to provide the connecting links between solo and tutti sections with idiomatic and increasingly virtuosic figuration that clearly set it off from the pastoral duo. In one episode in the long middle section, Nosky even engaged with the first and second ripieno violins in a cascade of close imitations. In the second movement, Andante, soloists and tutti linked in an expressive dialogue, with echo dynamics enhancing the pastoral affekt. Thematic exposition in the exuberant concluding fugue, on the other hand, was carried primarily by the ripieno strings, the soloists coming to the fore mainly in the interludes. In a central interlude, the solo violin took over with virtuosic non-thematic passage work, including an extensive episode of bariolage; in another, the two recorders explored motives from the fugue subject in an intricate duet. A final exposition of the fugue subject in all parts brought the movement to a resounding close. Beautiful as it is, the Gardner Museum’s Calderwood Hall presents its own problems to both listener and performer. Placing seats on all four sides of the hall means that at least a quarter of the audience views the musicians backsides. The Handel and Haydn players made a point of bowing to all four sides of the hall, and during intermission, they even turned the harpsichord 180 degrees to allow the other half of the audience a view of the keyboard. In fact, whatever one’s viewpoint, one couldn’t help sharing in the players’ exhilaration. Even seen from the “wrong” side, the body language of the notably athletic string players conveyed the sheer joy of participating in this first-class performance.